The procedure, power morcellation, cuts uterine tissue into pieces that can be pulled out through the incisions made during laparoscopic surgery. The morcellator devices, have been widely used in laparoscopic operations to remove fibroid tumors from the uterus, or to remove the entire uterus. Good news for Transvaginal mesh and sling plaintiffs and it’s more bad news for Johnson and Johnson’s (J&J) Ethicon division in its ongoing vaginal mesh debacle. The company will have to pay out again, in these many cases to go to court over its allegedly defective transvaginal mesh products and urinary incontinence slings. Johnson & Johnson, the world’s biggest maker of medical products, was ordered by a Texas jury to pay $1.2 million to a woman who alleged that vaginal-mesh implants to treat incontinence was defectively designed. This was the first verdict against the company over those devices. Low T Testosterone Androgel Voodoo Medicine? Ten years ago some scientists recruited several hundred volunteers and gave them Testosterone or a placebo. Those taking testosterone got stronger, compared with those taking the placebo, and they could carry a load up stairs faster. But they also had nearly five times the number of cardiovascular problems, including heart attacks and strokes, and the study ended early. Talcum powder cancer lawsuits are one among many product liability litigation suits the conglomerate is facing; others include Tylenol liver failure, injury from Ethicon transvaginal mesh, gynecomastia from Risperdal use in boys and early hip failure and replacement for DePuy hip replacement parts. 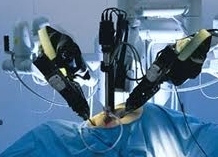 According to researchers, doctors who perform robotic-assisted prostate cancer surgery are not skilled enough to able to remove all the cancer cells until they have done the procedure more than 1,600 times. According to Prasanna Sooriakumaran, lead author and urologist, results from a study suggest the operations using Intuitive Surgical Inc.’s da Vinci robot are being performed too often at community hospitals by surgeons without enough experience. According to the American Society of Clinical Oncology, more than 90,000 men in the U.S. have their prostate gland removed each year because of cancer. 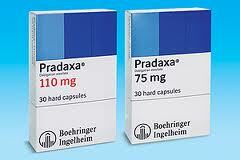 Boehringer Ingelheim, the maker of Pradaxa have been cited by the Prescripton Medicines Code of Practice Authority (PMCPA), a British regulatory agency, for the information on the Pradaxa’s website. The British regulatory agency has cited Boehringer Ingelheim’s Pradaxa website for violating industry codes of conduct. It also charged the company over issues related to a press release. 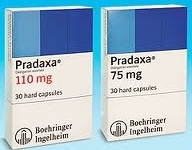 DALLAS, TEXAS: Dr Shezad Malik Law Firm, a national plaintiff’s pharmaceutical law firm, has begun an investigation against the manufacturers and distributors of Pradaxa(R), a medication that was approved to reduce the risk of strokes in high-risk cardiac patients. 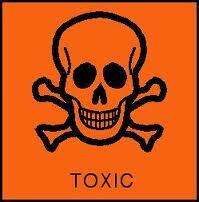 The drug was approved for use in the United States in October 2010, and it has a high number of adverse-event reports. These medical reports include 260 deaths from people who have bled to death while using the drug. These bad outcomes have led some experts to demand a Pradaxa(R) recall. A Children’s Motrin product liability lawsuit has been allowed to move forward. The plaintiffs allege that Johnson & Johnson failed to warn about the risk of serious and potentially deadly skin problems from Motrin. U.S. Magistrate Judge Maria Valdez rejected a motion to dismiss by McNeil Consumer Healthcare, a subsidiary of Johnson & Johnson. The complaint alleges that McNeil failed to properly warn consumers that side effects Motrin may included a risk of Stevens-Johnson Syndrome (SJS) and toxic epidermal necrolysis (TEN) reactions. This is an interesting issue of conflict of interest, impartiality and doing the right thing, as reported by the Wall Street Journal. Talk about the fox guarding the chicken house! 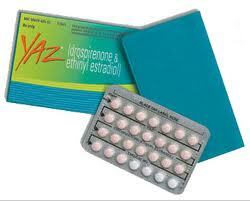 In December, an advisory panel for the U.S. Food & Drug Administration (FDA) voted to recommend by 15-11 margin that the benefits of Yaz, Yasmin and similar pills made with the synthetic progestin, drospirenone, outweighed their risk of dangerous blood clots. Now it has come to light that three of the FDA advisors who voted with the majority had ties to Bayer AG, the maker of the drugs, that were not disclosed by the agency. Novartis Tekturna Ticking Time Bomb? 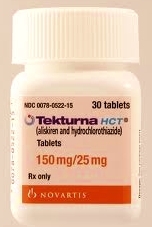 Recently Tekturna’s clinical trials were canceled by Novartis due to a high number of strokes and kidney problems among diabetic test subjects. Tekturna HCT, Valturna, TekAmlo and Amturnide are all variations of Teckturna (Aliskiren).